Doing an internship with the Permanent Observer Mission of the Holy See to the UN is a very enriching experience. It provides the student with an enabling environment that enhances the skills learned from the IPED program with a job role that has an integral purpose to the mission of the Holy See, allows the student to interact with international development and political actors, and assists in the delivery of Catholic Social Teaching. 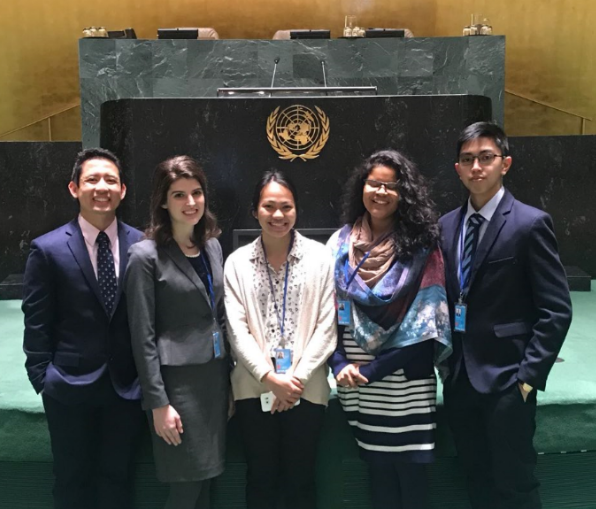 Crisostomo Ala ’18 (left) at the United Nations Headquarters with other UN interns. First, the role has an integral purpose for the Holy See Mission. 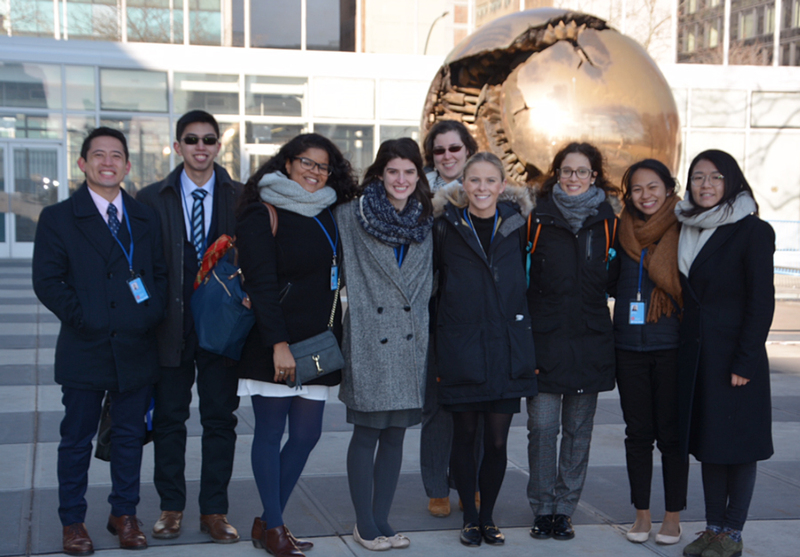 It supports the organization by synthesizing ongoing dialogues and debates at the UN. As an Adviser, I observed the negotiations regarding the UN Development System reform, represented the Mission in meetings of the Statistical Commission, and assisted on the Mission’s side events during the Commission on the Status of Women. These tasks underscored the importance of the role in achieving the Mission’s objectives. Second, the internship provided me with a lot of opportunities to interact and engage with people who play a huge role in politics and development. By participating in Holy See side events during Commission on the Status of Women, I was able to learn from seasoned professionals regarding foreign aid in Africa. In addition to this, I also got to engage with Colombian delegates who discussed the role of the Church in securing peace with the FARC. Overall, it was a good opportunity to learn about the position of the Holy See in international matters and how such a position relates with the agendas of other international actors. Crisostomo Ala and other interns at the United Nations General Assembly. Finally, the internship assists in the delivery of Catholic Social Teaching. As temporary members of the Holy See Mission, interns are an integral part of a team that informs the international community of the Church’s teachings on cross boundary issues like migration and human rights. By helping facilitate the projects of the Mission as well as attending its events, interns not only deepen their understanding of Church teaching but they also play a significant role in its delivery to the international community. 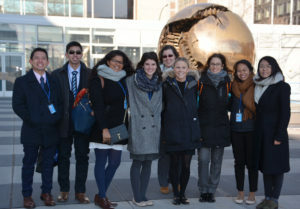 In conclusion, an internship with the Permanent Observer Mission of the Holy See to the UN enables students to fulfill a role integral to the mission of the Holy See, allows students to interact with international development actors, and enables them to assist in the delivery of Catholic Social Teaching. Such an internship provides students with a good opportunity to combine the skills learned from the IPED program with practical work experience in the area of international relations and diplomacy.